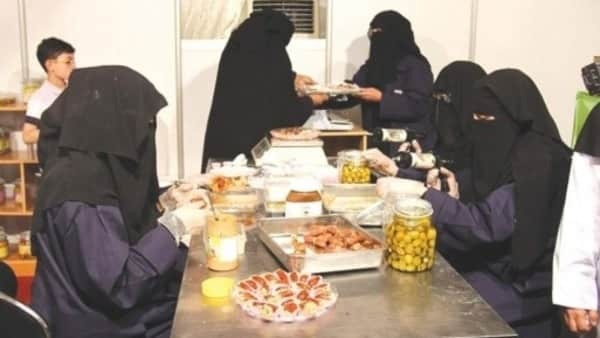 Saudi Arabia is preparing a plan to feminise the restaurant sector by providing job roles to Saudi women, In a effort to decrease the unemployment of Saudi citizens by banning expats from various job roles. According to the General Authority of Statistics, The unemployment in Saudi Arabia remained stable with 12.8%, even in the third quarter. However the unemployment rate among women is to be believed by 33% high. - The feminization plan for the Saudi restaurants and hotel kitchen sector is being led by the wife of the emir of Riyadh, Princess Nourah Bint Mohammad. Initially 16 restaurants will hire women for trial jobs. - The Head of the Huda Al Jiraisi team said, We will hold a workshop with restaurant owners in order to discuss the strategies with them for hiring more women in the restaurants sector. - The aim of the plan is to reach the Vision by increasing women's contribution in the labor market by 20 to 30% till the year 2030. - Initiatives are being undertaken across the Saudi Arabia to provide more job opportunities for women including the 3rd phase of feminization in shops selling women's clothing and accessories that began in last October. - 80% of the transportation costs for female workers is providing by labor ministry for those who are facing difficulties in travel from work place to home, Lifting ban from women driving in June of this year will ease it.